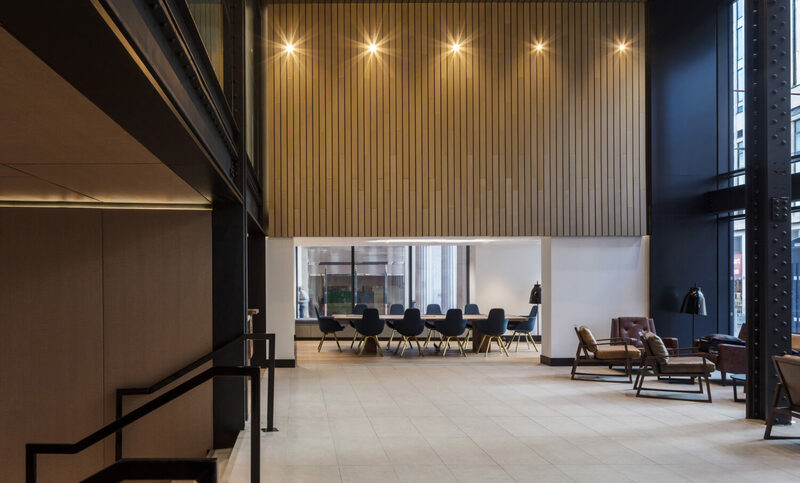 EPR is delighted to be shortlisted for ‘Best Refurbished /Recycled Workplace’ in the BCO Midlands and Central England Awards for our scheme, The Lewis Building. The landmark building constructed by philanthropist and innovator David Lewis stood as one of the grandest buildings of the 1920’s before its remodelling for office use in the 1990’s. By making creative interventions whilst respecting the building’s best qualities, EPR have given the scheme a new identity founded in its rich industrial heritage. The buildings operation and construction processes have all been carefully considered to achieve a high level of sustainability, featuring low energy lighting and high efficiently heating, air-conditioning, water supply and ventilation systems for a minimum BREEAM certified rating of ‘Very Good’ and EPC Grade B. Winners will be announced at the Awards Ceremony in April at Birmingham Town Hall.